Schuine Ronde Aard-Bolle waar van ’t Middelpunt is Amsterdam en de Tegenvoeters van Amsterd. 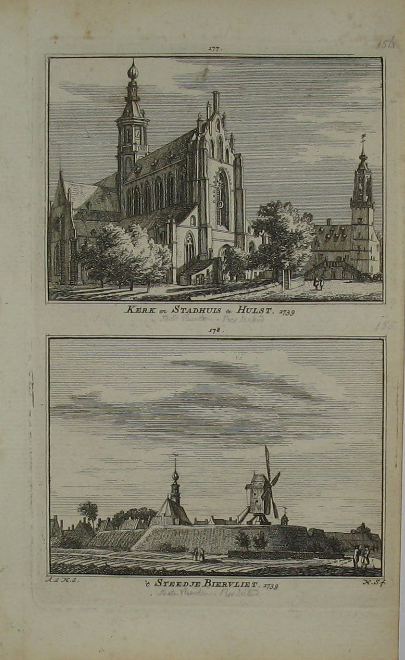 Getekent en Uitgegeven tot Almelo By Jacob Keizer en tot Deventer by Jan de Lat. 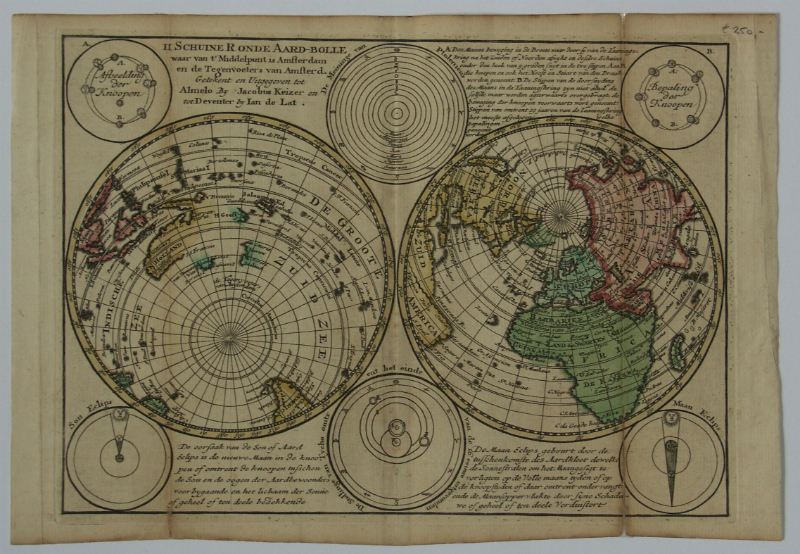 Charming map viewing from both the north- and south pole. As the title indicates with Amsterdam in the center and her opposite. Right panel slightly browned on the fold and strengthened with restoration tape.